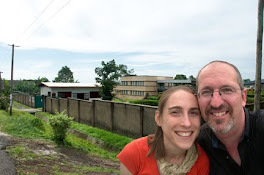 Author's note: I'm sure there are a lot of blog entries out on the internet about missionary's perceptions and experiences with the Ebola virus. I am not one of those heroes on the front line in an official Ebola-infected danger zone. Instead I am only a bystander to the chaos of this epidemic, albeit, I stand a bit closer than perhaps some others. So, if you're looking for a story with lots of spontaneous bleeding and saved-from-the-brink-of-death experiences, this is not the blog entry for you. Disclaimer: The opinions expressed therein are not official in any way, shape, or form. Even the 'facts' that I quote are up for debate as they are mainly obtained through my gleanings on the internet and radio. Although I try to stick to reputable web sites, one must read all such reports with a healthy dose of intelligent skepticism. Ebola is a hemorrhagic viral illness that causes the sudden onset of high fevers, severe muscle aches, headaches, vomiting, and eventually unexplained hemorrhaging from bodily orifices where, spontaneous bleeding should NOT occur! Given that experimental treatments, like ZMAPP and vaccines, are still far from curing this disease and that it has a greater than fifty percent death toll, Ebola Virus Disease (EVD) is not a nice virus. In fact, it's a downright nasty serpentine-shaped infectious agent that is spreading from person to person and wreaking havoc on the economics and psyches of people throughout the world, least of all West Africans. Very bad virus! 'Bathing in salt water will protect you from Ebola'. 'Eating monkey kola nuts (common fruit that is a type of Tamarind) will give you Ebola'. 'Eating bitter kola (common nut) will prevent Ebola'. 'Pigs are bad because they have Ebola'. 'Ebola does not exist; it's a made-up disease by the white man to scare Africans'. Of course, Ebola didn't really hit the world news until the white man was infected, a certain Samaritan's Purse doctor working in Liberia. Notions surrounding his treatment and the experimental drugs and vaccines for EVD have generated some diverse opinions and notions on a continuum of rationality. I remember walking into clinic one morning after the news announced that the company Mapp Bio-pharmaceuticals had shipped doses of ZMAPP for use in Liberian doctors infected with Ebola. At that time, doctor Brantly, the missionary doctor in Liberia, had already received this experimental drug and seemed to be showing hints of recovery. “What's the latest news on Ebola?” I asked my junior doctor who is much more faithful in listening to the local radio station than I am. That was it. No hesitancy that it was 'experimental'. No disclaimer that the drug had not been proven effective. No doubts about its ability to cure the American doctor who was receiving it. No anxiety over potential as yet unknown debilitating side effects. The only angst was that why the drug had not been used sooner when the former African specialist had been infected with Ebola and was dying. My GP did not seem to be concerned that ZMAPP was in its experimental stages. Or that all the potential side effects had not been sufficiently explored. Or that the correct dosing and effectiveness was still unknown. The term 'experimental drug' did not seem to deter his confidence that ZMAPP was the answer to the Ebola epidemic. He was content to accept the good news that a cure for EVD was on its way to Africa. On August 8, 2014, the world health leaders convened and decided to declare Ebola an international public health emergency. Since then the virus has continued to escalate at an alarming magnitude in terms of number of new infections and deaths. Just within the last few days, the WHO has estimated that based on the current trend in increasing numbers, the death toll could reach up to 20,000. Currently it stands around 1550 plus reported fatalities, most of them confined to Guinea, Liberia, and Sierra Leone. When Ebola was in Guinea, I wasn't worried. When Ebola was in Sierra Leone, I wasn't worried. When Ebola erupted in Liberia, I didn't worry. When Ebola was reported in Lagos, Nigeria, I worried. Nigeria and Cameroon share a long and porous border. This week, a member in our church will travel back to school at Babcock University, a Seventh-day Adventist University in Nigeria. “Don't you know the government has closed its schools?” our accountant jokingly chided the young man. He headed off to look for money to enroll in this year's courses at the university. I know he's not the only student who will be traveling back to school soon. I recently read an article written by a journalist student about his experience at one border control point between Nigeria and Cameroon. 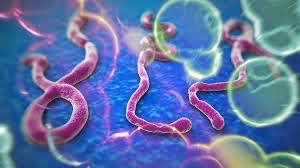 (http://globalvoicesonline.org/2014/08/28/ebola-scare-trapped-on-the-cameroonnigeria-border-for-over-40-hours/). The unsanitary conditions and crowded conditions are perfect seeding grounds for spreading viral diseases. One infected person among the group could easily infect the others under such cramped quarters. If one didn't have Ebola before they started across the border, the delays at the border for health screenings might ensure that they are infected. And yet, ironically, the legitimate business ships and trucks that travel between Nigeria and Cameroon importing manufactured goods like hair mesh, shoes, cloth, processed foods, and buckets are stymied in their travel and sit idle, unable to import/export. I wonder when women will stop plaiting their hair because the hair mesh becomes too expensive to buy? A few weeks ago I printed off some community case definitions of Ebola and Marburg hemorrhagic fevers and posted them in our hospital and clinic. Rumors and misleading information abound regarding EVD. Better to add some truth to the mix. “Where did you get your case definition posters?” the district health officers queried as they made their monthly inspection of quality indicators in our health centre. “From the WHO website,” I answered. “Yes, of course, but it's still good to be vigilant,” I answered humbly. “Ok,” I agreed. It was an easily rectifiable point. At the close of our meeting, they did not ask for copies of my WHO suspected case definitions for Ebola. I was not surprised. Whether Ebola comes to Cameroon or not we still feel it's effects. One volunteer at our health institution changed her airline tickets and flew home early. I know of teams of foreign doctors and other volunteer organisations that have decided to delay their plans to come serve in Cameroon. No one wants to get stuck in Cameroon if the country finds itself quarantined by the world for Ebola infection. My sending organization recently emailed me a notice from their travel insurance company that we missionaries are insured by. Apparently, there is no provision for emergency evacuation, treatment, or help whatsoever if the word “ebola” enters the insurance claim. Good to know. I found it amusing that this email came within days of reading about Dr Brantly's medi-vac from Liberia to America. Resources for the cholera epidemic in the Northern regions of Cameroon are lacking but little assistance is available for now. If Nigerian borders remain closed much longer, prices of manufactured goods will rise and Cameroonian women might have to resort to styling their natural hair. Most humanitarian volunteers in Liberia, Guinea, and Sierra Leone have been pulled out of the countries due to lack of potential medical access. Health workers are in short supply in these countries. Everyone is afraid. Malaria that presents with high fevers and body aches is hard to differentiate from the fevers of Ebola. Simple access to health care for basic afflictions like malaria, typhoid, and pneumonia are unavailable. 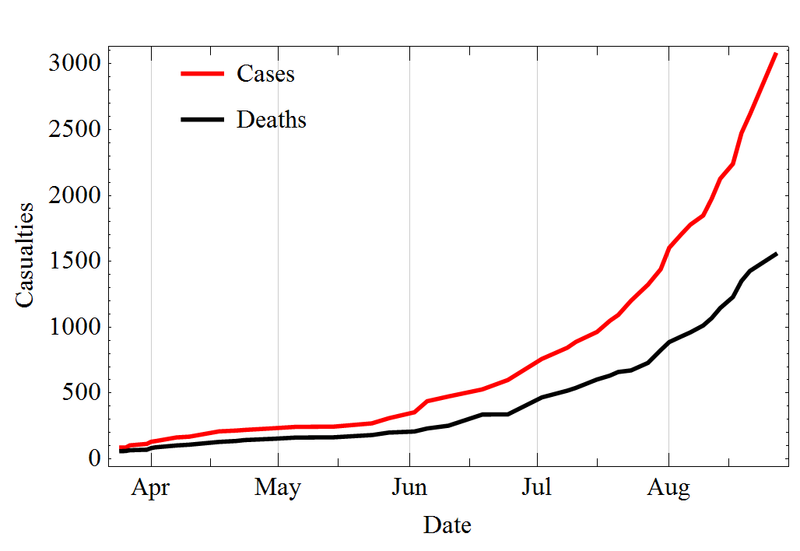 Can anyone calculate the ancillary death toll from lack of health care secondary to Ebola fears? Yes, Cameroon may not have any reported cases of Ebola but we feel the cold-fingers of its dark clutches clawing at our borders. I don't have a crystal ball to predict the future. The term, 'under-reported' fails miserably to encompass the challenges of tracking a mobile and fearful population in West Africa. Will Nigeria be able to contain the virus? It's not hard to imagine similar cases like the nurse in Lagos who had contact with the primary Ebola fatality, Patrick Sawyer, escaping quarantine to run back to family in Enugu. Now many of the secondary contacts with her are under quarantine. Then there are the patients like the victim in Port Harcourt, who rather than seek treatment in Lagos when exposed, instead fled the capitol. Are there others? Have some crossed the border? The largest town in Cameroon near to Port Harcourt, Nigeria, is Buea. What about the new case of Ebola in Senegal reported on Friday, August 29? The student who was exposed to EVD and escaped his surveillance team in Guinea, traveling to Dakar where he ended up in a hospital there. For three days he lay in the hospital, quietly spreading his germs to his medical team and fellow ward mates. It wasn't until health officials from Guinea talked to their Senegalese friends and reported that they were missing a potentially infected case that hospital authorities tested and confirmed the 21 year old boy was infected with EVD. Senegal has become the fifth country now to have Ebola. Who is next? Students are gearing up for the new school year now in Cameroon. We wait and pray and while waiting, we continue to care for each sick client that enters our gates with love and compassion... gloves and clinical precaution. Oh... and the posters outlining my WHO Ebola suspected case definitions remain hanging on the walls. When Dr Brantly, the American missionary doctor in Liberia, was reported to have Ebola, people asked me if I was afraid of getting Ebola. No. I'm not afraid although, I must admit, I will be sorely put out if the disease interferes with my holiday plans. I can “sit on a mountain but not on a tack”! Thanks for sharing this. Enlightening and slightly chilling. I do hope that they stop putting lots of people together waiting for health checks. Asking for trouble and for others to avoid border control. Also hoping that there will be no lock down before you need to leave and anything that will put replacements off coming to keep out there.